Everyone knows that I love Nike. When Gabby, stylist over at Gmotivate, came to the store last weekend for the site, I was thrilled to help her pull together some looks (not that she needed any help in the first place.) One of Nike’s hot products for Fall is the Tech Pack Collection. 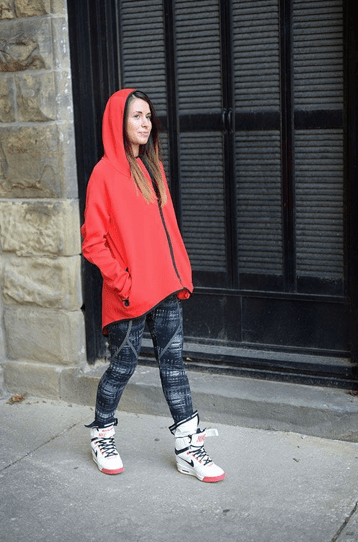 Gabby and I both fell in love with the Tech Fleece Cape for fall and winter, so this stand out piece ultimately became the main focus of her outfit. Gmotive is a great daily source for fitness motivation, healthy eats, and awesome style. Hop on over to the site and check it out!